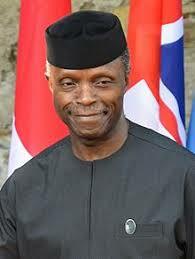 The Vice President, Yemi Osinbajo, yesterday lost his polling unit, Code 33 Unit 2, in Victoria Garden (VGC), Lagos, to the opposition People’s Democratic Party (PDP). It was gathered that Osinbajo and the Alliance for New Nigeria (ANN)’s standard bearer, Mr Fela Durotoye, cast their ballot at the same polling unit during the elections. The All Progressives Congress (APC) not only lost the presidential by also the senatorial and House of Representative elections. The PDP scored 425 votes in the presidential election while the APC scored 229. In the senatorial contest, the PDP took 414 votes, leaving the APC with 261. In the House of representatives outing, the PDP won 268 as against APC’s 190 votes.